Biagi Bros. announced that it joined the SmartWay® Transport Partnership, a innovative collaboration between U.S. Environmental Protection Agency (EPA) and industry which provides a framework to assess the environmental and energy efficiency of goods movement supply chains. Biagi Bros. will contribute to the Partnership’s savings of 1.5 billion gallons of fuel, $3.6 billion in fuel costs, 14.7 MMT of carbon dioxide (CO2), 215,000 tons of oxides of nitrogen (NOx) and 8,000 tons of particulate matter. Carbon dioxide is the most common greenhouse gas, and nitrogen oxide is an air pollutant that contributes to smog. 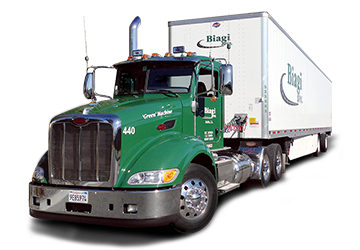 By joining SmartWay Transport Partnership, Biagi Bros demonstrates its strong environmental leadership and corporate responsibility. Developed jointly in early 2003 by EPA and Charter Partners represented by industry stakeholders, environmental groups, American Trucking Associations and Business for Social Responsibility, this innovative program was launched in 2004. Partners rely upon SmartWay tools and approaches to track and reduce emissions and fuel use from goods movement. The Partnership currently has over 3000 Partners.